Dr. Morris was born and raised in Tuskegee Institute, Alabama. She received her Bachelors Degree from Howard University in 1965, then attended MedicalTechnology School and was certified by the American Society of Clinical Pathologist as a Medical Technologist. She was later certified as a Specialist in Blood Banking by the American Association of Blood Banks. 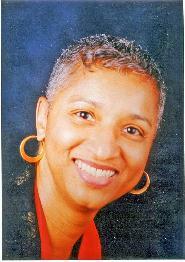 She was the Blood Bank Supervisor of the 750 bed Veterans Administration Medical Centerin Washington, D.C. She returned to Howard University College of Dentistry and graduated with honors in 1982. Dr. Morris continued her education by completing a General Practice Residency Program at the Veterans Administration Medical Center, Washington, D.C. There she received extensive training in all phases of dentistry and in the treatment of medically compromised patients, operating room cases, anesthesia and emergency medicine. She received her Residency Certificate in 1983. Dr. Morris next accepted a commission in the Public Health Service and served for 4 years in a dentally underserved area. In 1987, she opened the Family Dental Care Center in Oxon Hill, Maryland. Dr. Morris and her staff are currently serving the dental needs of the community. In 2005, after 21 years of service, Colonel Elizabeth S. Morris, DDS, retired from the Delaware Army National Guard. She served as the DEARNG Executive Dental Officer. Also, Dr. Morris is actively treating patients with Obstructive Sleep Apnea and Snoring conditions. She and her staff are committed to improving the quality and quantity of life for these individuals. She is certified for Cosmetic Dentistry by the Las Vegas Institute of Cosmetic Dentistry, Invisalign Braces by Align Technology and Kor Whitening Teeth Bleaching. Dr. Morris is an active member of the American Academy of Sleep Medicine. She is a member of Omicron Kappa Upsilon, Pi Pi Chapter Dental Honor Society. She is a life member of the American College of Forensic Examiners, the Association of Military Surgeons of the United States and the renowned Tuskegee Airmen. Dr. Morris resides with her husband, of 46 years, Byron Morris. They have been blessed with 2 sons and daughter-in-laws and 9 grandchildren. Most importantly, Dr. Morris can change your life. She is a member of a life style enhancement profession. She can have a profound effect on your overall health. She can have dramatic effect on your appearance. She can have an absolute effect on your ability to eat, now and when you are 90 years old. Want to know how? Come in to see her. Call for an appointment 301-839-SMIL (7645), 301-839-6330 or 240-766-8126. Absolutely wonderful. Always a great experience from the whole staff. I look forward to my dental appointments. I highly recommend this dental office.